New listingMedieval Dress for re-enactment in a Dark brown Wool Size 10. Ww1 Style nurses Outfit . Purchased for mannequin display but not used. 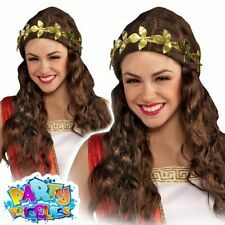 Consists of dress, plain apron, armband and headpiece. Suitable for display, or demonstration. Pieces are separate so could be used for alternative interpretations. Smoke free and pet free home. This gown was worn once for a photo shoot at Hever Castle and made in Burgundy Velvet Embossed silk Taffeta with Beautiful inlets of Burgundy Silk Taffeta. Spare set of sleeves hand made by myself. The sleeves of the bodice have a FULLY LINED burgundy Taffeta upper sleeve and the lower sleeve is made from beautiful burgundy Silk Taffeta.2. Handmade to a very high quality. Beautiful dress - lots of material. Tie-cord to rear, with zip. 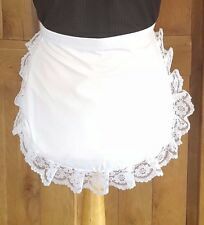 Handcrafted Red Cross style adult World War I Nurse apron uniform. The gown is blue-grey silk velvet of the finest quality which shows gold/silver tones in the light. It also features a kirtle, placard and false sleeves. This is a beautiful Tudor gown based upon the last gown worn by Anne Boleyn. Includes: 1 Victorian gown (Cotton). We specialize in designing and making historically inspired dresses, gowns and jackets. Victorian C hoice. We design and make our dresses and proudly present them to you. Beautiful Midnight Blue Renaissance Dress with Dramatic Lace Cloak, can easily fit size range of 12-16. Consists of –. · Lace covered corset with ties at the back and hook fastenings at the front. THE SCOTTISH WIDOW HOOD. THE SATIN RIBBON CORSET STYLE WILL DRAW YOU IN OR OUT AS THE CASE MAYBE. AND YOU WILL COLLECT MANY ADMIRING GLANCES AS YOU DRIFT INTO THE ROOM. THIS PERFECT GOWN IS HAND MADE. The dress has a V shaped bodice with stays to hold the rigid shape. The bodice is cream patterned brocade with heavy jewelled panel just above the waist inset with diamante stones. The bodice and sleeves are lined with a calico fabric. Here we have a very rare cinema usherette /sales girl uniform from the mainly Australian Greater Union Cinemas circuit, I’m not sure how it made it to this country but was included in a sale of goods from a retired cinema manager in the uk. Bought this dress in the 90s for a Jane Austin party but never wore it. Think the empire line bodice and floaty material gave it that real Austin look but just a very pretty maxi dress anyway. Bust armpit to armpit is 36" max waist is 30". Stunning Retro 60's/70's Hippie Style 2 pieces Outfit. Never been worn. WHITE HEADGEAR VEIL. WW1 WW2 VOLUNTARY AID NURSE. BRITISH RED CROSS NURSE UNIFORM. CHAMBRAY BLUE STYLE DRESS. A really delicate leather pauldron with shoulder bag, uniquely designed and made. - Material: PU Leather, Alloy.